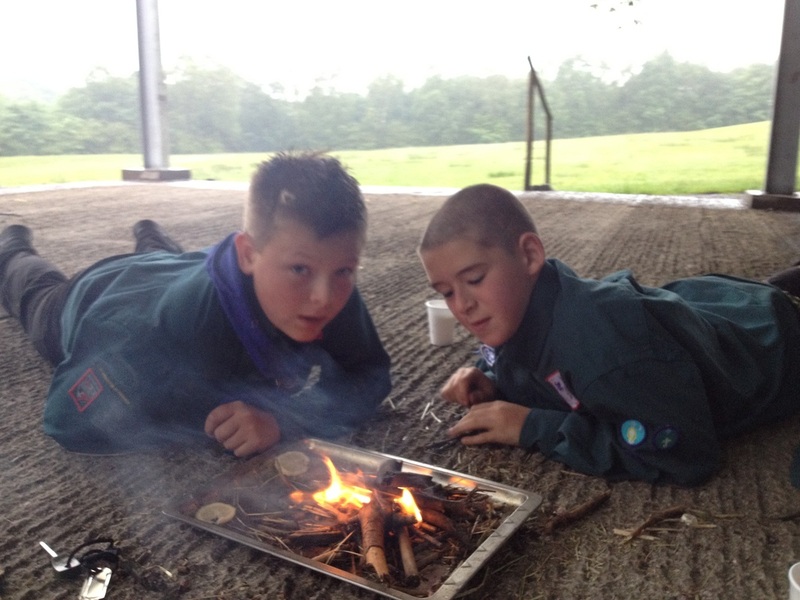 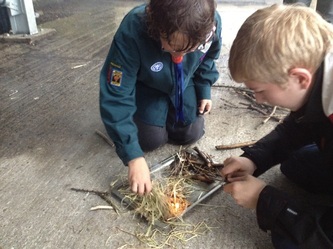 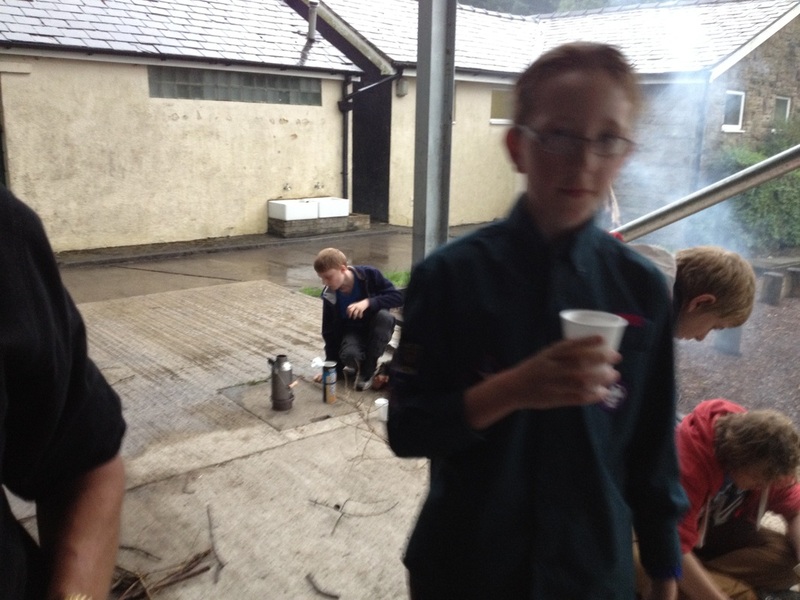 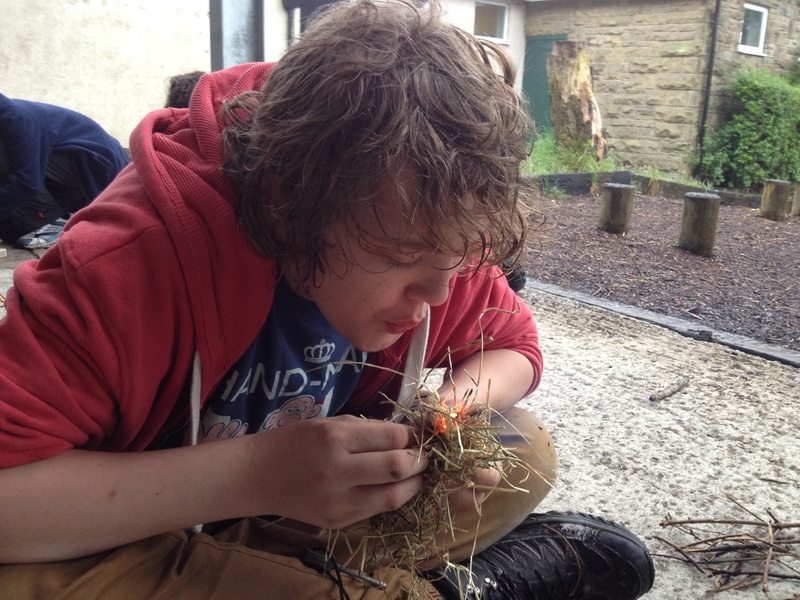 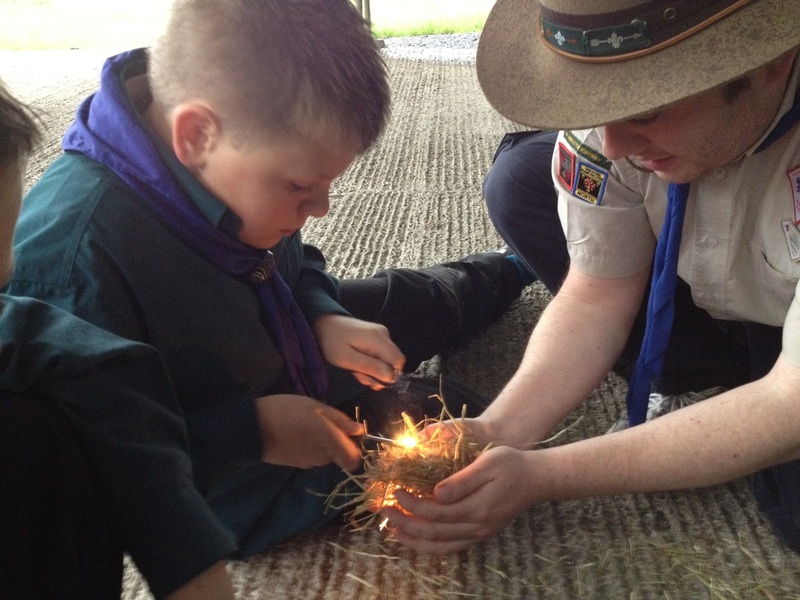 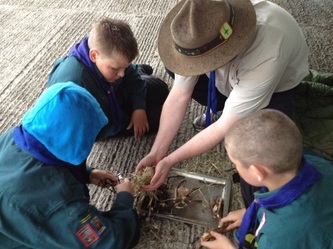 On one of our Troop meeting nights at Ashworth Valley we collected nettle leaves, had a go at using a Gillie (or Kelly) Kettle and tried various ways of lighting fires. 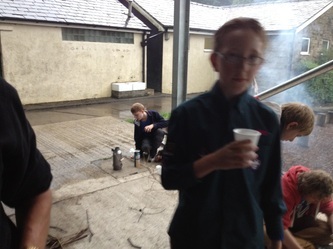 It had rained hard all day and continued to rain during our meeting so we gathered under the open sided shelter on the campsite. 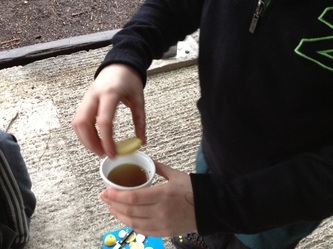 We sliced lemon to add to the nettle tea - it makes it go a pinkish colour.